There are many perks to counting a wine aficionado among your friends, not least that you can unashamedly seek their advice on everything grapeful, from picking the right wine at a supermarket to the best brunch-time drinks to cure your hangover! The friend in question is Shakira, a fellow foodie and the prolific entrepreneur behind Grappled, a handy food and wine pairing app for picking the perfect wine based on dish, cuisine, occasion or taste preference. She also writes a fantastic blog over at Shakira’s Wine Space, with tips and quips that always seem to uncannily address my wine-related dilemmas, right down to the best way of removing a wine stain. The Weather Gods, on the whole, have been very kind to Londoners over the past few weeks. Aside from a few forgettable exceptions, the temperature in our capital has been pleasantly mild and the sun has made more than a few glorious appearances. Pleasant weather has the uncanny ability to put people in the mood to drink. Since our great city offers over 10,000 bars and pubs to choose from (a pretty conservative estimate), I felt it to be my civic duty to list my favourite five for drinking wine in the sun. This gem is tucked away in the heart of Covent Garden, with a few white tables sprawled across the almost-impossible-to-find Neal’s Yard. The wine list showcases bottles from around the world, but the emphasis is undoubtedly on France. Whilst the main wine list feels as long as War and Peace, the ‘by the glass’ list is considerably more accessible. On one of my first visits to this wine bar, the item that caught my eye was the Mystery Wine: a glass of red from the mammoth wine list with the only hint being a sub-£100 price tag. The challenge is to guess which wine it is; the winning guess is awarded with a bottle of that wine and the indefinite right to gloat about unparalleled wine knowledge. I, unfortunately, guessed wrong – but I still choose to go back to this bar on a regular basis. The tables outside are perfectly positioned to capture the sun’s rays. During the colder months of the year, powerful heaters are placed in between each table – making this pub suitable for winter boozing too. The wine list features some very interesting and delicious choices – many of which are from Tuscany and Sicily in Italy. (One for oenophiles) The wine is served from Riedel glasses. The snack menu is excellent – triple-cooked chips, zucchini fritti, and beef sliders are my favourites. The only drawback is that this place is relatively expensive – but hey, you get what you pay for. The interior of this bar is quite unlike anything else – which is really no surprise given it claims to be “the residence of the eccentric British adventurer”. Expect to be faced with stuffed animals, rugs, portraits and even penny-farthings littered around the bar. 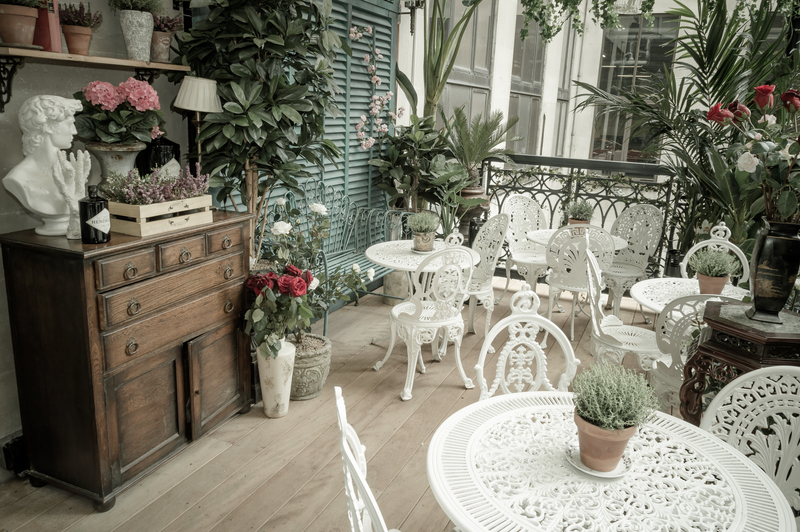 I almost always opt to sit on the terrace – a unique spot with old-school white garden furniture clustered together amongst a few plant pots. Whilst this bar’s USP is gin or whisky-based cocktails, the wine list should not be overlooked. There is a white Sancerre that is an excellent choice no matter the occasion. 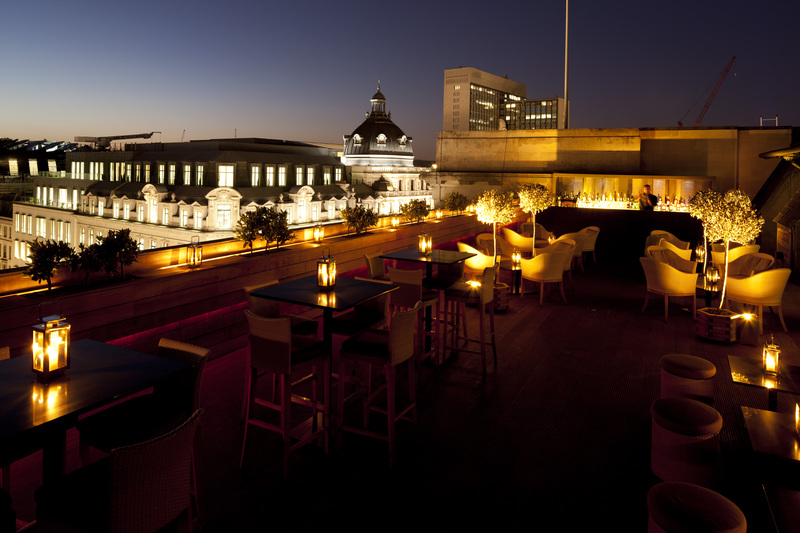 I couldn’t write this post without including at least one rooftop bar. Aqua is a personal favourite on spring and summer evenings, with its two gorgeous rooftop spaces perfectly positioned to watch the sun go down. The wine selection is sufficient but perhaps bordering on the shorter side – particularly at the main bar. But no fear – the cocktail selection is extensive! Insider tip: if you want bubbly without the £72.50 price tag of Veuve Cliquot, head to the smaller bar in the Aqua Nueva part of the establishment where you can order a bottle of very decent Cava and save a few pounds. 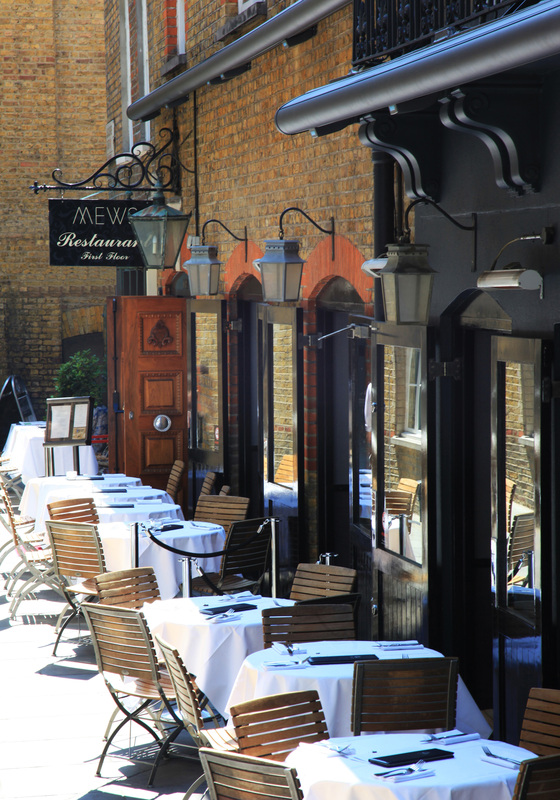 Mews has a lot going for it. 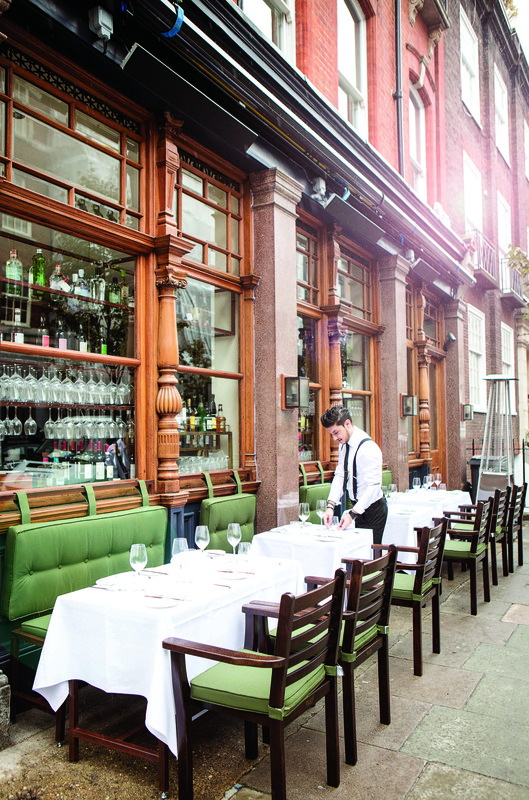 It is tucked away just off Brook Street on a narrow cobbled street, offering a tasteful courtyard for daytime boozing. The wine selection is good as is the cocktail menu. No doubt after a few glasses you’ll forget the diet and order a portion of their devilishly good triple-fried chips. Insider tip: on particularly warm days, go early to make sure you nab a good table. I’m sure your boss won’t mind. 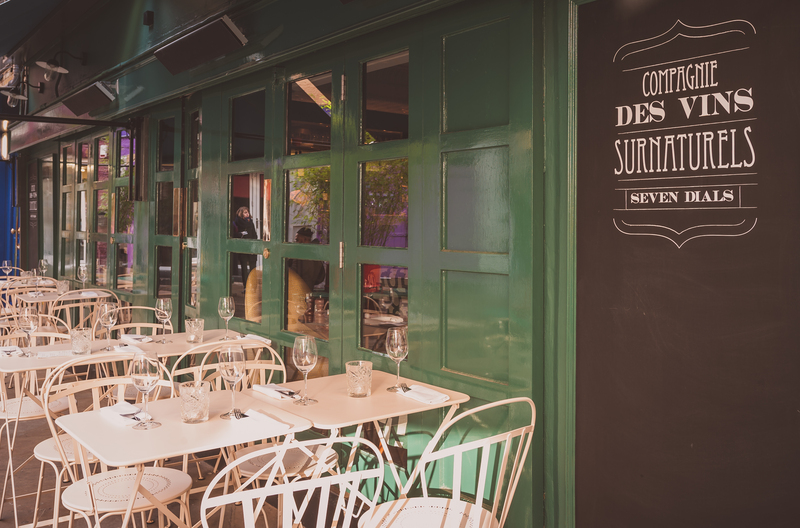 In case you missed it, recently Shakira and I also jointly reviewed Social Wine and Tapas – the latest venture by Jason Atherton, serving up flavoursome tapas-style dishes paired with a fine selection of wines. While for more on Mr. Fogg’s, you may be interested in a previous post chronicling my adventures around the world in 80 cocktails at this quirky establishment! You can have a read, here.